Senate Bill 91 allows landlords to require their tenants to obtain renters’ insurance under certain circumstances. Landlords may require renters’ insurance in an amount not to exceed $100,000 per occurrence or the amount customary in the rental area, whichever is greater. (For instance, landlords in the metro Portland area might customarily expect higher renters’ insurance limits than other rural areas of the state.) This $100,000 limit was negotiated by tenant advocates in the coalition who were concerned about insurance affordability for tenants who, if they were unable to afford insurance in the amount required by area landlords, could effectively be priced out of a rental market. The allowance in the law for higher customary amounts required by landlords in some areas was the concession negotiated by landlord advocates. Disclosure of renters’ insurance requirements must be made to tenants prior to the beginning of the tenancy (the bill specifically amends application screening law to require the disclosure of any renters’ insurance requirements during the application process), and the requirements must be included in rental agreement. Landlords may require documentation of insurance be produced by tenants prior to taking occupancy of a rental. In the case of existing tenants, landlords may institute a new renters’ insurance requirement during an existing month-to-month tenancy (in which case a landlord would give a 30 day notice of change of terms). If the existing tenant does not comply with the new renters’ insurance requirement, a landlord may serve a notice of termination, but the tenant may cure the notice by obtaining the required insurance. Furthermore, landlords may require that tenants periodically produce documentation that their renters’ insurance is current and in effect. In order to require renters’ insurance, landlords must obtain their own liability insurance for those rentals and must produce documentation of that insurance to the tenants upon request. If renters’ insurance is required, the disclosure of the landlord’s insurance requirement and accompanying documentation obligations (such as advising tenants that landlords must also produce proof of insurance upon request) must also be included in the rental agreement. Although either party may request insurance documentation from the other, the law makes it clear that neither landlords nor tenants may “harass” each other for insurance documentation (making unreasonable requests for documentation too often, for example). At the request of tenant advocates to prevent potential abuse, landlords cannot require their tenants to obtain insurance through a particular company (so we recommend not even referring tenants to particular companies, lest you be accused of steering them), and landlords cannot demand to be made Additional Insureds to their tenants’ policies. (Landlords may and should, however, ask to be added to the tenant’s policy as an Interested Party, where the insurance company will notify the landlord if the policy becomes inactive due to non-payment of premiums or cancellation.) Additionally, landlords cannot demand that tenants waive their insurance subrogation rights. The law also specifies the circumstances in which landlords may make claims against their tenants’ insurance companies. A landlord may make claim against a tenant’s insurance policy only if: 1) the tenant is legally liable for the damages claimed (or the landlord reasonably believes the tenant is responsible), 2) damages are beyond normal wear/tear, 3) the claim is greater than the amount of the security deposit held by the landlord, and 4) the landlord provides a copy of the claim to the tenant at the time it is filed. If a landlord knowingly files a frivolous claim (or one that doesn’t comply with the above-referenced requirements), the tenant may be awarded actual damages plus $500. Finally, landlords cannot require renters’ insurance if a tenant’s household income is equal to or less than 50% of area median income or if the property is federally subsidized or receives certain blocks grants. This probably, though not necessarily, means that you may not be able to require renters’ insurance for properties where your tenant receives Section 8. When in doubt, always confirm whether your tenant’s income equals or falls below your property’s area median income. We know this is confusing. ORHA is currently determining the best way to find that information, and we will let members know well before the law goes into effect on January 1, 2014. Landlord Tenant Coalition “Omnibus” Bill, has many components. It will take effect January 1, 2014. In order to require Renters’ Insurance, landlord must also obtain liability insurance for the rental and must produce documentation of insurance to tenant upon request. If insurance is required, disclosure of landlord’s insurance and documentation obligations must also be included in rental agreement. Landlord can only make claim against tenant’s insurance policy if: tenant is legally liable for damages; damages are beyond normal wear/tear; claim is greater than the amount of the security deposit; landlord provides copy of claim to tenant at time it is filed. Tenant may be awarded actual damages plus $500 for frivolous claims by landlord. Landlord cannot require Renters’ Insurance if household income of tenant is equal to or less than 50% of area median income, property is federally subsidized or receives certain blocks grants. FED judgment against applicant five years or more prior to submission of application. Temporary occupancy agreement may be terminated by tenant at any time without cause and by landlord only for cause for material violation of the agreement (with no right to cure violation). No written notice of termination to temporary occupant is required. Landlord may screen temporary occupant for conduct and criminal record. Cannot screen for credit history or income. Tenancy cannot consist of one sole temporary occupant. Landlord must give written warning notice of initial violation that includes possible fees if the same or similar violation occurs within one year. Within one year of warning notice, may assess $50 fee for 2nd same/ similar violation and $50 fees plus 5% of current rent for subsequent same/similar violation. Housekeeping clarifications – daily notices end at midnight of the end of the last day of the notice, and hourly notices begin at 11:59 pm of the day post and mailed and end “x” hours later. Clarifies landlord must provide a carbon monoxide alarm when located within a structure that contains a carbon monoxide source and the dwelling unit is connected to the room in which the carbon monoxide source is located by a door, ductwork or a ventilation shaft. Provides that tenant may give landlord 60 day notice to vacate if they are notified property is in foreclosure. Landlord has 30 days after notice to prove no longer in foreclosure, if applicable. Multifamily NW gave up on including the ‘guest’ issue as part of negotiations, and we expect to deal with that topic in future legislative sessions. “Housing Choice Act of 2013”, AKA “the Section 8 bill” sponsored by Speaker Tina Kotek. The bill will take effect July 1, 2014. Housing Choice Landlord Guarantee Program – provides financial assistance to landlords to mitigate damages caused by subsidized tenants. Guarantee Program funds are distinct from State General Fund. Landlords must submit claim to program within one year of damages and must have a small claims court judgment from the county in which the rental property is located. Claims must value more than $500 but less than $5,000. Housing and Community Services must enter into reasonable repayment agreement with responsible tenants for those claims paid out of the Guarantee Program. 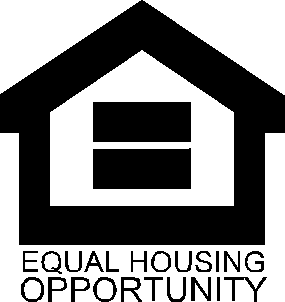 Statewide Housing Choice Advisory Committee will be created to advise program – made up of housing authority representatives, landlords and tenants. Increases civil filing fees by a percentage surcharge (5%) on cases filed and creates a designated fund for revenue raised by increased fee to be used for eCourt development, enhancement and maintenance. Also increases prevailing party fees, which are not retained by the state. Veteran’s Housing bill that adds $5 increase to recording fees for that cause. Patrol towing bill that narrows rules for non-consent towing. Post reprinted from July 2013 ORHA News. Edited and reformatted for clarity. Do any of your residents ever submit rent late? Do you ever have to track-down tenants to collect rent? Has a tenant ever bounced a check to you/your company? If you answered “Yes” to any of these questions read on, because this new, and clever, use of technology may just help you collect more rents, and more importantly do so in a more timely manner and with less hassle. Let’s revisit how rents are generally collected. First, most landlords/property managers require rent on the first day of the month. Most landlords also provide a grace period of between two and five days. For landlords and property managers with more than a few doors, collecting rent is a major task and business focus between the first and tenth of every month. Wouldn’t it be nice if the whole process could be a little easier, a little less of a fire-drill? In a perfect world, all residents would be completely compliant and automatically pay rent, in full, on-time. Wishful thinking. A couple months ago, a tenant called my cell phone to let me know he was going to text me. He asked if I “Texted”. I said “Yes”. Shortly thereafter, I received a text from his bank indicating I have been “Texted” rent. How does this work? I wondered. The text asked me to “Accept” payment – which I readily did. The next thing that happened was that I had rent in my rental checking account. It was that easy. So now, I encourage residents to text me rent. I am not sure whether all banks offer this service. Chase and US Bank do. Obviously, your tenant (i) Must have an account at one of these banks, or another bank offering this free service, and, (ii) They must have sufficient funds in their account to text you money. If you are RECEIVING money (e.g. from tenants) it doesn’t matter where you bank. We bank at US Bank and Chase. Before you can accept texted funds, you need to go online and get set up to receive funds. It does not take long to do this (instructions below). If you are SENDING/TEXTING money (e.g. to others such as kids, friends, etc…), once again you need to initiate this service from your bank’s website. We know Chase and US Bank offer this as a free service. Log into Online Banking at USBANK.com. To SET UP service to receive or text others funds, complete the information in this box, which directs where money will go when it arrives, or, which account it comes out of if you are texting others funds. To RECEIVE MONEY, enter your information into the box shown below with the notification message you receive that someone is texting you funds. Once you do the above steps, the funds will be ported into your account. Log into Online Banking at Chase.com. Click on the PAYMENTS & TRANSFERS tab at the top, then click on the CHASE QUICK PAY tab below this (see photo below). You will be asked a few questions about (i) which account you want incoming funds deposited too; and, (ii) which account you want to debit if you are texting funds to someone else. If you are RECEIVING funds (e.g. from a tenant), and those funds will go into your Chase account, then you will receive a notification from Chase (via text and/or email) indicating your funds are waiting to be claimed. At this point you will ACCEPT the funds. If you are texting/sending funds to others, you can do so in about 2 clicks on your phone or computer. Once you text funds to another person/company, you receive confirmation that the other party has been notified and the funds are there for them, pending acceptance of those funds by the other party. Like you, they need to be Set Up ahead of time with their bank to be able to receive funds in this manner. Good luck getting this going. It takes a bit of effort to set this up as well as to communicate this new method of paying to your residents. But, once set up it is much easier for everyone.